This guide walks you through how to export from Deputy and into WageEasy. To successfully export to WageEasy, you must prepare for export, ensuring that the Area Export Code in Deputy matches the Department number in WageEasy, that the Employee Names are identical between WageEasy and Deputy, and that the Employee Export Code is identical to the employee's Payroll Number in WageEasy. The Area export code in Deputy must be identical to the Department Number in Wageeasy. The export code to match this Department Number may be entered into each relevant area in Deputy. 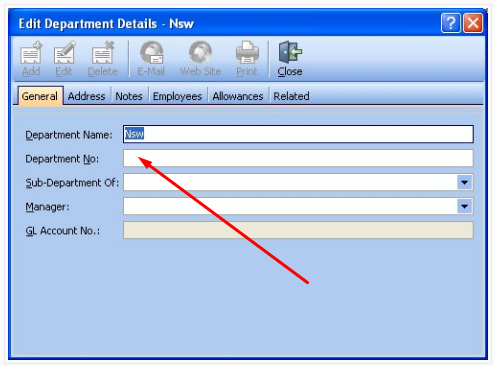 Ensure the spelling for the employee name is correct in Wageeasy and Deputy and that there are no blank spaces after the typed name text in Wageeasy or Deputy. If there is an empty space stroke after the typed text, Wageeasy will fail to match the employee. 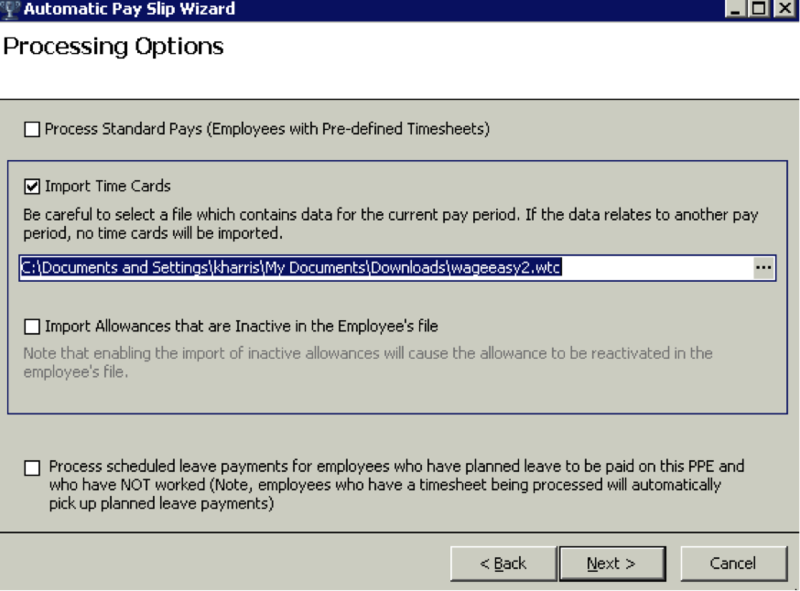 Ensure that the Employee Payroll Number in the Personal tab in Wageeasy is identical in Deputy. Once the pay items have been approved for payment, select ‘Export Selected Items’ and name the file appropriately. Refer to the reference guide on Pay Time Sheets for more information. Emp. First Name: This is the employee’s first name used in their employee profile. Emp. 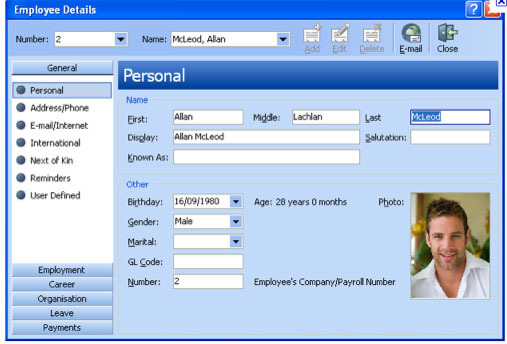 Card ID: This is the Payroll ID set in the employee profile. It is important that this is identical to the Card ID in Wageeasy. Department: This is the Export Code that is notated in the Department record in Deputy. It is important that this is identical to the Department in Wageeasy. Total Hours: Total hours worked in al exported shifts. First, please check that the pay period in WageEasy is set to the same range as your export dates in Deputy. This can be seen in the top menu on the right hand side as shown below. It is the date that the pay period ends. If the period isn't correct, please navigate to Setup -> Set Pay Period and change the Pay Period. Please click 'Next', which will display a screen similar to that below, showing that the import has been accepted. Now that the import has been completed successfully, please follow the usual steps to process your payroll. If the creation of an export file from Deputy was unsuccessful, a screen similar to the below will be displayed. The error message will outline which areas require addressing. The most common error is when the code for the Export Code in the Department record is omitted. To rectify this error, navigate to the relevant department in Deputy and change the Export Code to the name/number given to the corresponding ‘Department Number’ in Wageeasy. Refer to the ‘Preparation’ section for more information. Leave Time Sheets set to export from Deputy will be ignored in the export file. Wageeasy does not differentiate between leave time sheets and worked time sheets on import. For this reason, leave time sheets must be inputted into Wageeasy manually. 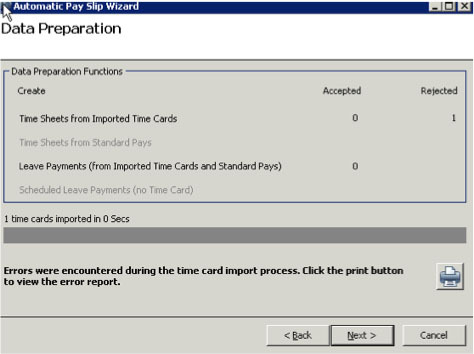 If pay sheets from a different pay period are processed, an error message will be given as shown below. 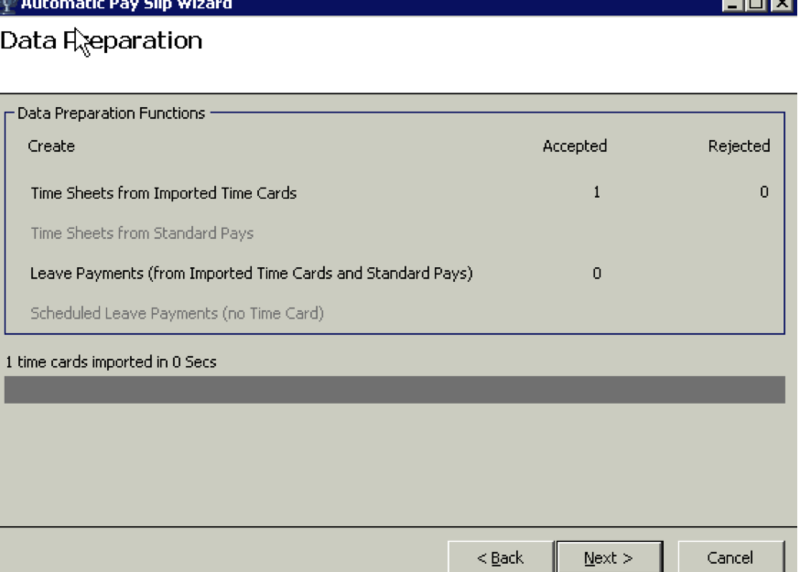 To rectify this error, follow the steps outlined in the section ‘Importing to Wageeasy’ for setting the Pay Period. If the Department number in Wageeasy is not identical to the Export Code in Deputy, an error message similar to the below will be displayed when processing pay sheets. To rectify this error, navigate to the relevant department in Deputy and change the Export Code to the name/number given to the corresponding ‘Department Number’ in Wageeasy. Refer to the ‘Preparation’ section for more information. If Wageeasy is unable to match the employee in the export file from Deputy, a message similar to the below will be displayed. On selection of ‘Next’, a report similar to the below will be displayed. To rectify this error check the employee details in Deputy and ensure they are identical to the employee details in Wageeasy. Refer to the ‘Preparation’ section for more information. Deputy advises contacting Wageeasy or the Wageeasy account representative directly for further help or advice on configuring, changing or troubleshooting issues (if you continue to have any problems with importing into Wageeasy) with the Wageeasy program.